NCRP is coordinating an expansive epidemiologic effort entitled the One Million U.S. Persons Study of Low Dose Radiation Health Effects (Million Person Study) (MPS). The primary aim of the MPS is to provide scientifically valid information and improve precision on the level of radiation risk when exposures are received gradually over time, and not acutely as was the case for Japanese atomic-bomb survivors. The major health outcome of interest for the MPS is cancer mortality, but other causes of death such as cardiovascular disease and cerebrovascular disease will be evaluated. The validity of the MPS is tied to the validity of the dose reconstruction approaches to provide accurate estimates of organ doses (i.e., the absorbed dose averaged over all parts of an organ or tissue) and their accompanying uncertainties. To date, the derivation of the annual organ doses and their associated uncertainties from the available recorded dose quantities and other information has been performed for part of the U.S. Department of Energy (DOE) workers, is well under way for the atomic veterans, has been undertaken for the nuclear power plant workers and the industrial radiographers, and is at the planning stage for the medical radiation workers. Organ doses from exposure to all the relevant external and internal sources for a given population are of interest. For most of the MPS cohorts, external sources were the predominant mode of exposure. However, for the DOE workers, preliminary estimates indicate that about half of the DOE workers also were exposed from intakes of radionuclides. Following a presentation of the status of the cohorts involved in the MPS and of the available recorded dose quantities, the recommended guidelines regarding the estimation of annual organ doses and their uncertainties for the purposes of an epidemiologic study are presented and discussed. Provide guidance in the derivation of organ doses and their associated uncertainty for epidemiologic studies in general, but with a focus on the populations that make up the MPS coordinated by NCRP. The study populations include DOE workers, atomic veterans, nuclear power plant workers, medical radiation workers, and industrial radiographers. Detailed discussions on nuclear power plant workers and medical radiation workers: Two MPS cohorts that have many challenges in deriving organ doses from available personal monitoring records and other work-related information when the specific exposure conditions for individuals are not directly known. 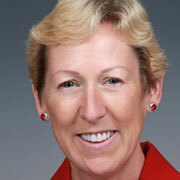 is the Associate Director for Human Health and Environment at Oak Ridge Associated Universities (ORAU). 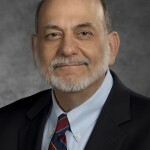 He is responsible for the staff, resources, and program operations associated with human subject health and protection surveillance as well as the independent environmental assessment and verification under the U.S. Department of Energy (DOE) Oak Ridge Institute for Science and Education. These programs provide DOE with the stewardship of several key data assets related to the long-term health effects from exposure to radiation and beryllium to current and former DOE workers and unbiased, independent assessments of environmental clean-up at contaminated sites. He has three decades of experience in occupational radiation exposure including regulatory requirements, records and information systems, and project management. 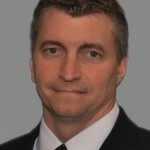 He serves as the principal investigator for the DOE Radiation Exposure Monitoring System and the U.S. Nuclear Regulatory Commission (NRC) Radiation Exposure Information and Reporting System projects, which involve the management and analysis of occupational radiation exposure records received at all DOE facilities and NRC licensees. He is also the project manager of the NRC’s radioactive effluent project which entails the collection and analysis of radioactive material releases from nuclear power plants. 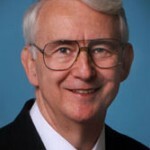 Mr. Hagemeyer is the group manager over ORAU’s Professional Training Programs, which has provided training in the radiological sciences since 1948. He is currently serving as Vice Chairman of the international Information System on Occupational Exposure (ISOE) Working Group on Data Analysis to provide support in the collection and analysis of ISOE's international database of radiation exposure information. ISOE is jointly sponsored by the Organisation for Economic Co-operation and Development and the International Atomic Energy Agency. 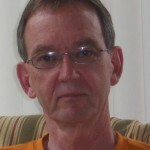 He received his BS in nuclear engineering from the University of Virginia in 1987.
is a Staff Scientist in the Environmental Analysis and Engineering Group at Pacific Northwest National Laboratory in Richland, Washington and has been for the past 41 y. Mr. Napier works with the development and operation of models concerned with the environmental transport of radiological and chemical contaminants. 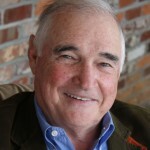 His expertise and experience lie in the areas of radiation dose reconstruction, computer modeling, environmental analysis, and human health risk analysis. 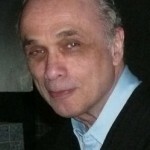 He is an author of the widely-used GENII computer code. Mr. Napier was the Chief Scientist for the Hanford Environmental Dose Reconstruction Project that evaluated releases from the Hanford Site during production of plutonium. 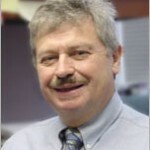 He is now a Principal Investigator for the U.S./Russian Joint Coordinating Committee on Radiation Effects Research, working on the dose reconstructions at the Russian Mayak Production Association for both the workers at and the populations living near the points of atmospheric release and along the Techa River downstream. Mr. Napier is a Scientific Vice President and past member of the Board of Directors of NCRP, a past committee member of the U.S. Environmental Protection Agency's Science Advisory Board and the National Academy of Sciences, a Fellow of the Health Physics Society, and past Chair of oversight panels for the National Cancer Institute's Chernobyl Studies. is Professor in the Department of Preventive Medicine at the Keck School of Medicine of the University of Southern California. 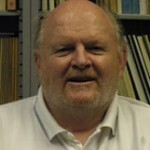 He received his PhD in statistics from Temple University in 1983 and served as a postdoctoral fellow in the Biostatistics Department of the Harvard School of Public Health from 1984 to 1986. From 1986 to 1989 he was a research associate at the Radiation Effects Research Foundation in Hiroshima, Japan. Dr. Stram's main areas of research are in the statistical problems that arise in the design, analysis and interpretation of epidemiological studies of cancer and other diseases. His work on radiation epidemiology studies includes: (1) helping to characterize the statistical nature of errors in dose estimates for the atomic-bomb survivor study, (2) developing a multi-level variance components model for the dosimetry used in the Colorado Plateau uranium miners cohort for the purpose of better understanding dose and dose-rate effects in those data, and (3) characterizing study power and sample size issues in epidemiologic studies in which a complex dosimetry system is used to estimate radiation dose. Besides the field of radiation epidemiology his past and current research has focused on statistical issues relevant to clinical trials of treatment for pediatric cancer, nutritional epidemiology studies, and to studies of the genetics of complex diseases. He is an elected fellow of the American Statistical Association and has authored or co-authored over 200 peer reviewed articles. 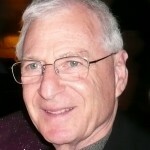 is a Clinical Professor of Radiology and Medicine at Columbia University. He earned an MS in Radiological Physics and a PhD in Experimental Physics. He is certified in Radiological Physics by the American Board of Radiology and licensed by New York State in Diagnostic Imaging, Radiation Therapy Physics, and Medical Health Physics. 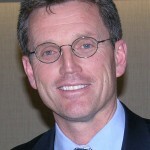 He is a past President of the Radiological and Medical Physics Society of New York, past Vice President of the Radiological Society of North America, a member of the Standards and Safety Committees of the Society for Interventional Radiology, and a member of editorial and review boards of several scientific journals. He received the Marvin M.D. Williams award from the American Association of Physicists in Medicine (AAPM) in 2017. He is a fellow of AAPM, the American College of Medical Physics, the American College of Radiology, the Society for Cardiovascular Angiography and Interventions, and the Society of Interventional Radiology. He currently serves on International Electrotechnical Commission working groups responsible for safety and performance standards for projection and interventional radiology. He has been a member of NCRP Council for more than a decade. He chaired scientific committees that produced NCRP Report No. 168, Radiation Dose Management for Fluoroscopically-Guided Interventional Medical Procedures and NCRP Statement No. 11, Outline of Administrative Policies for Quality Assurance and Peer Review of Tissue Reactions Associated with Fluoroscopically-Guided Interventions (2014). 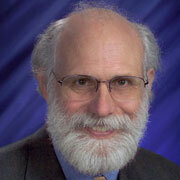 He has over 100 refereed publications in the areas of radiological imaging, radiological health, and related topics. is a senior health physicist with the U.S. Nuclear Regulatory Commission (NRC), where he has worked for 16 y. 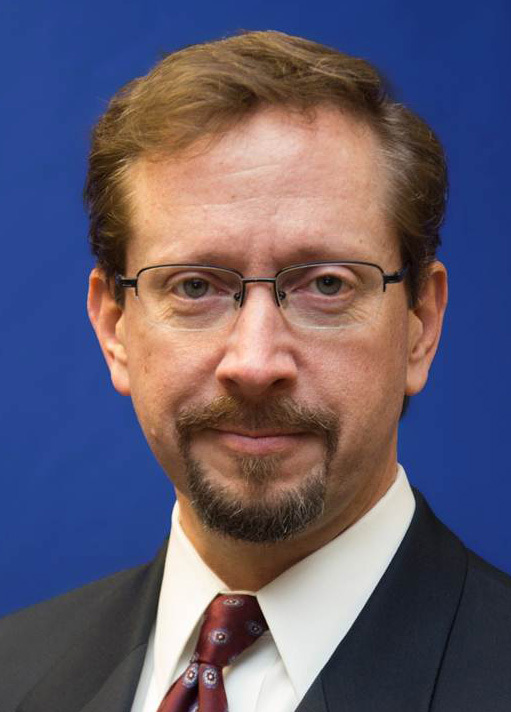 He is the current NRC program manager for the Radiation Exposure Information and Reporting System, the Analysis of Cancer Risks in Populations near Nuclear Facilities study, and the lead for the agency's participation in the One Million U.S. Radiation Workers and Veterans Heath Study. He is a current management board member and past Vice Chair of the Organisation for Economic Co-operation and Development / Nuclear Energy Agency 's Information System on Occupational Exposure. 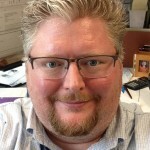 He's the agency liaison with NCRP and the International Commission on Radiological Protection and serves as the NRC representative on the Executive Committee of the Joint Coordinating Committee for Radiation Effects Research (Russian Health Studies). He has served as the project manager for the State-of-the-Art Reactor Consequence Analyses study and on the Risk Task Group that explored risk-informing the radioactive materials arena. Before NRC, he worked in health physics at a commercial nuclear power facility and at two universities. In addition to health physics, Dr. Brock has worked on environmental health and risk communication issues related to pesticides and hazardous substance clean-up sites. Dr. Brock holds a PhD in public health and MS in radiation heath physics and environmental health from Oregon State University. He holds a BS in health physics and industrial hygiene from Purdue University.